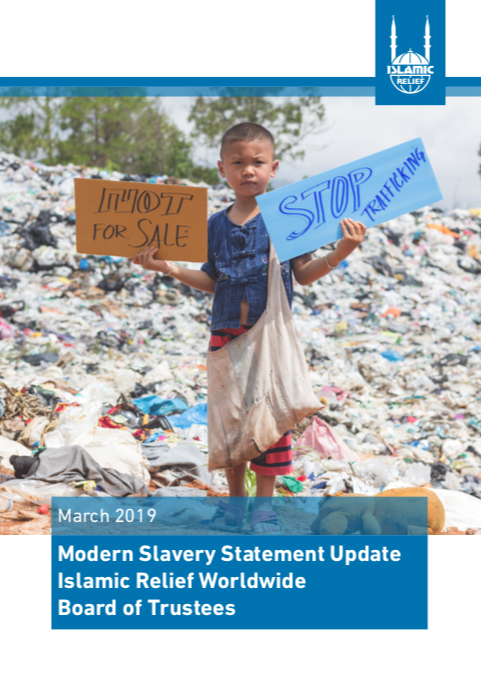 The Islamic Relief Worldwide (IRW) Board takes the issue of Modern Slavery in all its forms extremely seriously. We recognise the incalculable damage Modern Slavery can do and strongly believe there is no place for such conduct in society, it is in total conflict with our faith based values and our objectives, vision and mission. Working together with IRW’s CEO and the Executive Board, we are pleased to provide an update on our work and the measures we have in place since we first published our Modern Slavery Statement. We are continuously building upon our work to ensure we are at the forefront of the fight against Modern Slavery. View or download our Modern Slavery Statement in full here.